GLI Land Geophone String is a very ideal sensor for Land oil exploration. Its good performance simple operating,stable and reliable parameters,light weight,and reasonable stucture made GL1 very suitable for all kinds complex field.Now GL1 is widely used in oil exploration,mineral exploration,and objection exploration. Side outlet, convenient construction, construction land available when the foot into the ground, marshes and reliable waterproof construction. The product at the depth of 8 meters of sea water to soak for 48 hours, the insulation resistance of not less than 100M /100V. 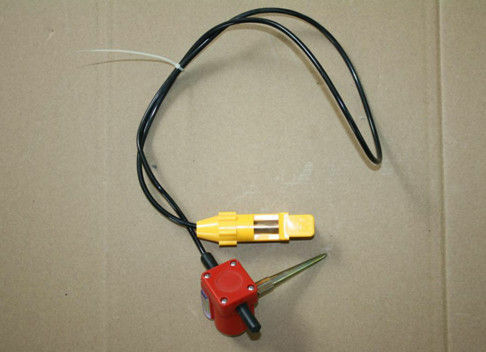 Suitable for all kinds of standard combination, can also be a combination of different forms according to user requirements, the end head can be connected with the clamp or underwater plug.